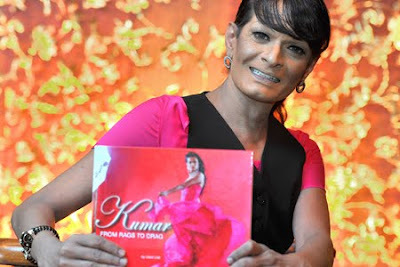 That's what has been revealed in the new book about the comedian entitled Kumar: From Rags To Drag, launched last Tuesday. Now you don’t have to buy the book. I just saved you $33. You’re welcome. What do you mean you already knew he’s gay? Huh? Everyone knew? How did everyone know? So what if he dresses up as a woman as part of his comedy act? That doesn’t automatically mean he’s gay. Jack Neo used to dress up as Liang Po Po and Liang Xi Mei on TV. 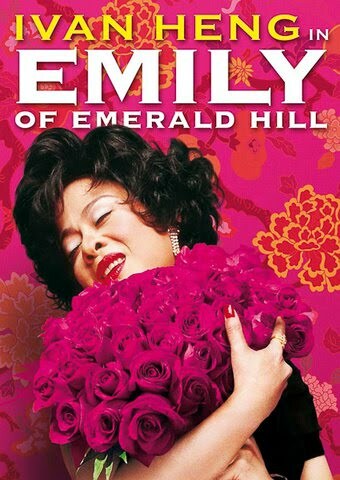 Ivan Heng dressed up as Emily in the play Emily Of Emerald Hill. Glen Goei dressed up as a man playing a woman in M Butterfly on stage. Irene Ang dressed up as Rosie Phua on Phua Chu Kang. Michelle Chong dressed up as Barbarella on The Noose. Does Dennis Chew still dress up as Aunty Lucy? Surely, they all can't be gay. Can’t a man dress up like a woman without people jumping to conclusion that he’s gay? I used to enjoy trying on my mother’s underwear as a teenager and I’m not gay. But you know the biggest reason I thought Kumar wasn’t gay? Maybe I'm naive, but I trust celebrities. Why else would advertisers pay celebrities so much money to endorse their products? I took Imedeen pills for my skin because Zoe Tay said her secret was that she swallowed. Don't tell me she actually spat. When confronted with the gay question, Kumar could've said “no comment” or “I don't want to talk about my personal life” or “none of your business”. But he addressed it head-on. I remember being very impressed by that. Now, of course, he has revealed in the book that it was all a lie. The issue isn’t that he’s gay. The issue is that he was dishonest. If you can’t trust a cross-dressing comedian, who in this world can you trust? I haven’t felt this disillusioned since Glenn Ong and Jamie Yeo split up in 2009. Back in 2004, he had told The New Paper that she was “the one”. Then earlier this year, he said his new fiancée Jean Danker is "the one". How can I believe you now, Glenn? In a few years, will Georgina Chang be “the one” next? By the same token, how can I trust Kumar now? If he could lie about not being gay 18 years ago, could he also be lying this time round about being gay just to get publicity for the book? Maybe in a few years when he has a new movie to promote, he will admit that he's not gay after all. And then a few years after that, when he has a new line of designer saris to promote, he can admit to being gay again. This gay thing can be like a recyclable publicity resource for him. But I’ve learned my lesson. I shall never believe anything celebrities say again. When I watched Jack Neo cross-dressing, my comment was 'he can act as a woman' but when I see Kumar with his mannerism, my impression was 'he is a pondan'. No debate as to why i categorized and pigeon-holed them like that. My two cents' opinion.